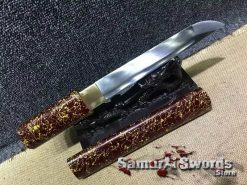 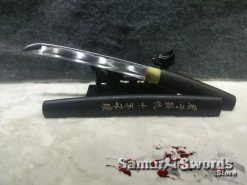 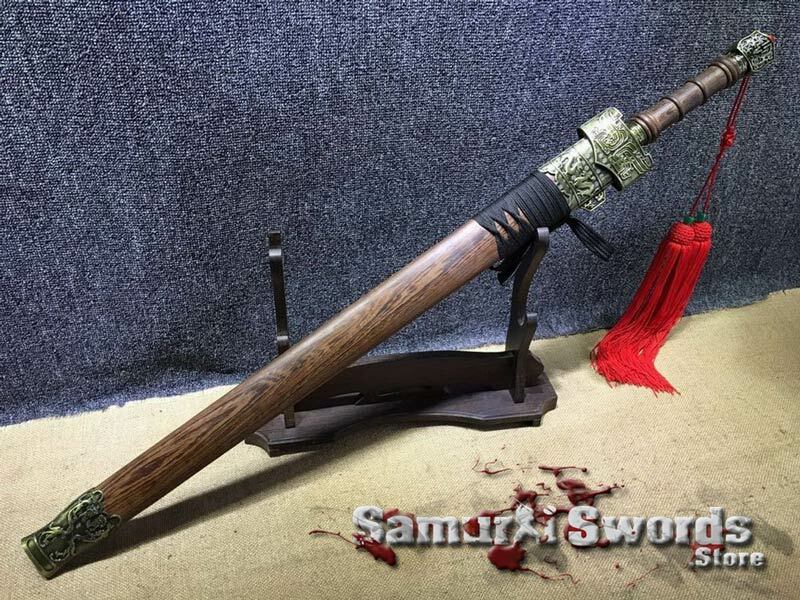 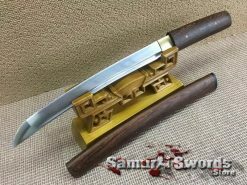 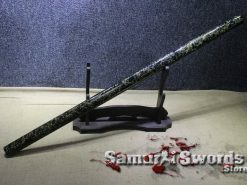 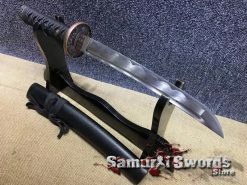 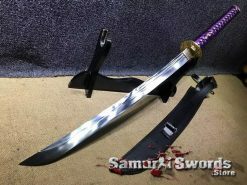 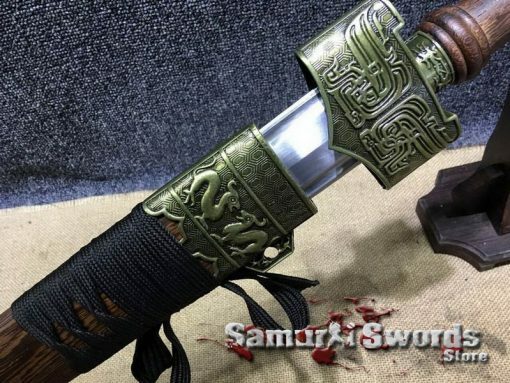 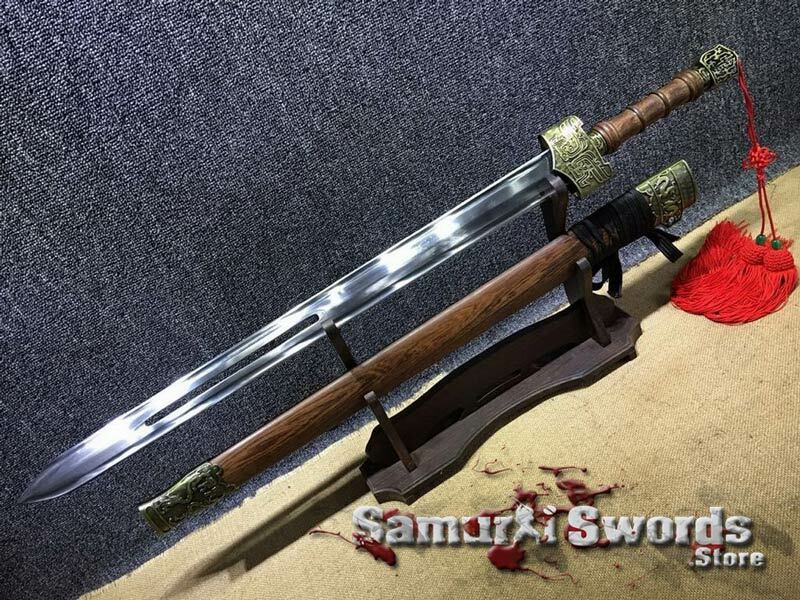 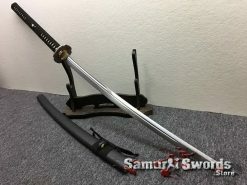 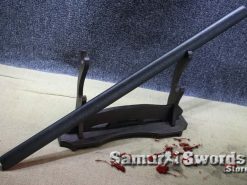 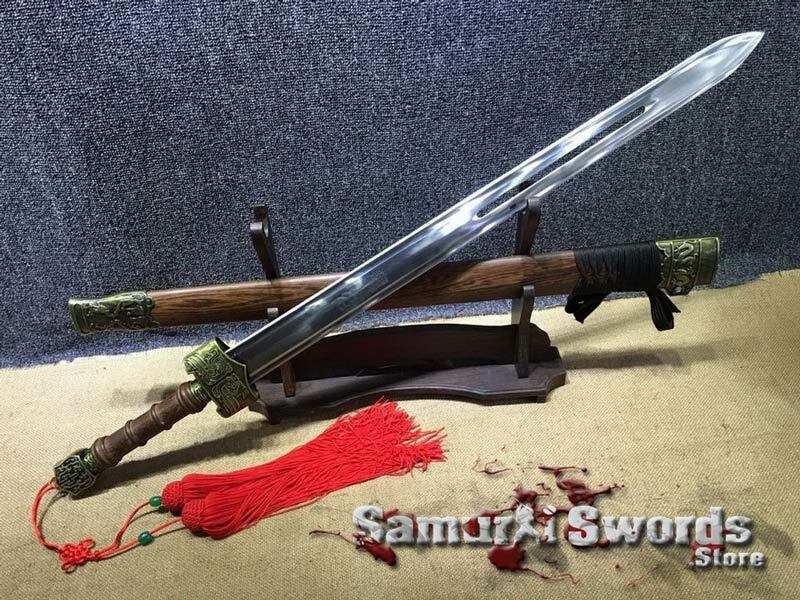 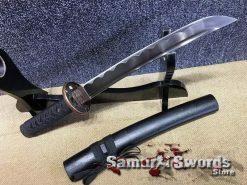 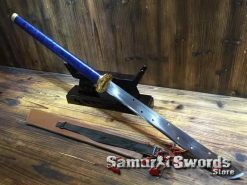 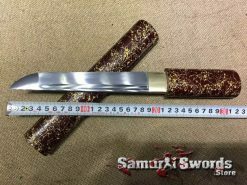 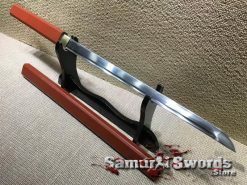 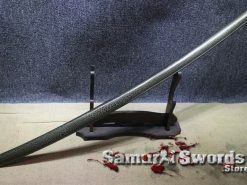 This is a fully functional battle ready Chinese Wu Ming Jian used by Jet Li in the movie “Heros” and it features the slit-blade design. 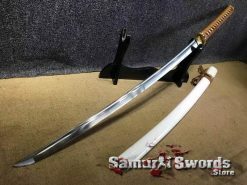 The sword has a deep black finish and features traditional cord wrapping at the center. 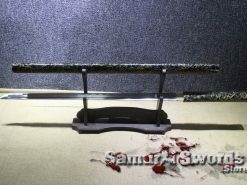 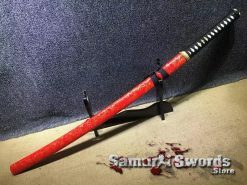 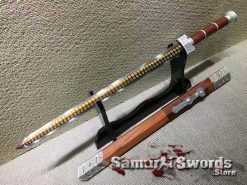 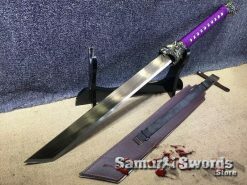 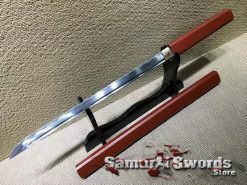 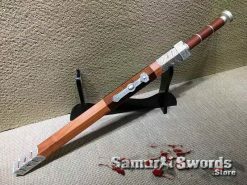 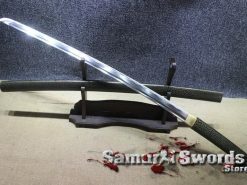 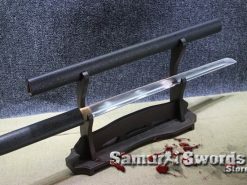 The Hero sword is an attractive, sturdy piece and both collectors and film fans alike will enjoy owning this beautifully crafted weapon. 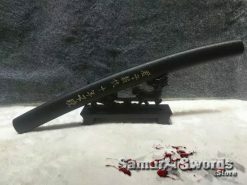 Blade: The blade is made from 1060 Carbon steel and has the word “? 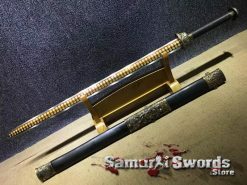 ?” engraved upon it. 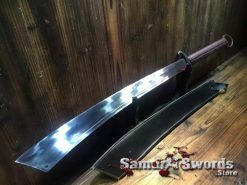 It is 100% hand forged, and can be dissembled for maintenance. 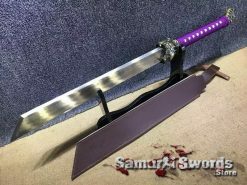 The edge has been sharpened it is completely functional. 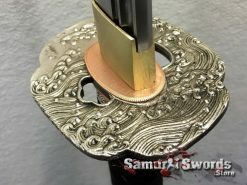 It can be used for drills, practice and cutting tests. 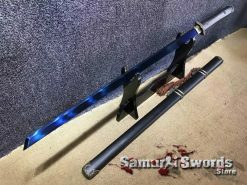 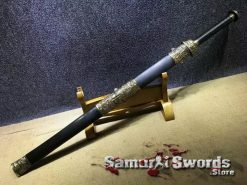 Scabbard: The scabbard is made from strait grained hardwood with steel trim at the top and bottom and wrapped with black suede. 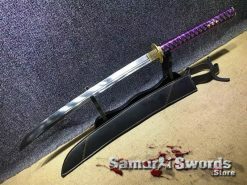 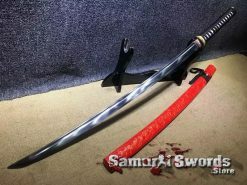 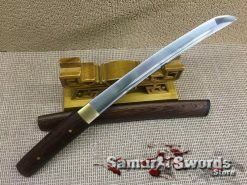 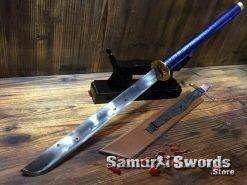 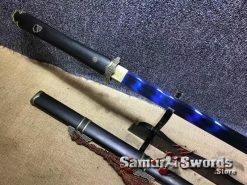 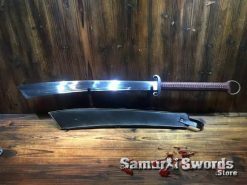 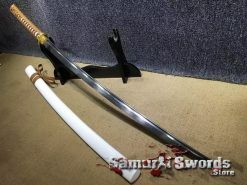 Handle: The handle of the sword is also made from rosewood, matching the scabbard. 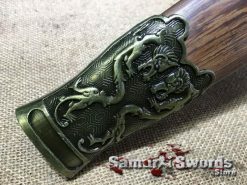 The pommel and hand guard are made from steel trim with detailed with Chinese scroll work design. 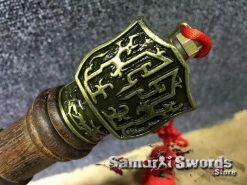 A red tassel is attached to the end of the handle.